Lakeland truck shoppers in the market for a pickup truck with incredible utility and performance will find what they’re looking for in the new 2019 Chevy Colorado Z71. Drivers will be able to personalize the performance of their Colorado to meet their driving needs. 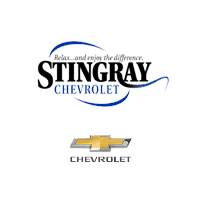 Stingray Chevrolet has all of the details on the new Chevy Colorado and the upgradable Z71 Off-Road Package. Are you ready to experience a top-rated pickup truck with incredible off-roading capabilities? If you answered yes, you should stop by Stingray Chevrolet and browse our inventory of Chevy Colorado trims offering the Z71 Off-Road Package. It provides features that make this capable truck handle off-roading situations with ease. Check out our inventory, then schedule your test drive! Contact us with any questions you have in the meantime!